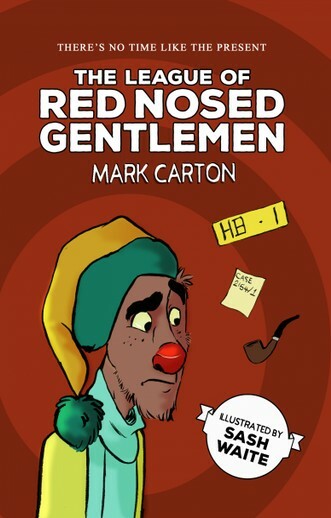 The mysterious League of Red Nosed Gentlemen is paying people to sit around doing nothing. Why? It’s not even Christmas! Well, it’s always kind of Christmas in Oonabligen. When its inhabitants aren’t shovelling snow, they’re scoffing mince pies. Featuring zany illustrations by Sash Waite, The League of Red Nosed Gentlemen is sure to spread festive cheer to all ages, all year round. Raised in Birmingham, the son of a cleaner and a sheet metal worker, Mark Carton scraped through school with enough grades to go ‘up north’ to University, and has spent the last thirty years doing every job from an unsuccessful NCP car park attendant to a top performing ‘foam hand’ salesman on the Radio One Roadshow.